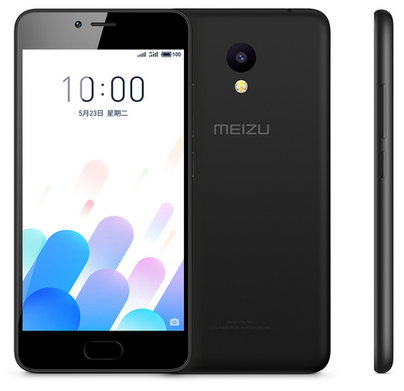 Meizu, Chinese tech giant has launched a new device, Meizu A5. The phone is the first of the A Series to be made available. See specifications of the Meizu A5. Meizu A5 will be powered by Mediatek’s MT6737 SoC octa-core. The storage memory is at 16GB and RAM at 2GB. Rear Camera shooter is at 8Mp and the secondary camera for the selfie is at 5mp . To keep the device lit is a battery 3,060mAh. 5 inch display size, (1280 x 720 pixels) resolution and IPS display type with pixel density of 294 ppi all embodied in 144×70.5×8.3mm casing, total weight is at 140g. Connectivity options include 4G VoLTE, Wi-Fi 802.11 a/b/g/n, and Bluetooth 4.1. Avaailable colours include black , gold and silver.